Lenovo and NetApp's storage alliance, joint venture in China, and new series of all-flash and hybrid flash products put them both in a much stronger position in the data center against rivals Dell EMC and HPE. Lenovo and NetApp's storage alliance, joint venture in China, and new series of all-flash and hybrid flash products announced at Lenovo's Transform event, put them both in a much stronger position in the data center against rivals Dell EMC and HPE. The storage offerings include two familes, each subdivided into all-fash and hybrid -flash products, jointly developed by Lenovo and NetApp and available now worldwide. Several of the products support NVMe (non-volatile memory express), the extremely fast communications protocol and controller able to move data to and from SSDs via the PCIe-bus standard. NVMe SSDs are designed to provide two orders of magnitude speed improvement over prior SSDs. The companies say they are committed to working closely together not only on the sales side gloablly, but also in product development. The joint venture in China, meanwhile, was formed to deliver storage products and data management solutions localized for China's unique requirements and distinct cloud ecosystem, Lenovo executives said. While Lenovo has a lineup of SAN (storage-attached network), DAS (direct-attached storage) and tape storage products, it's really not a player in the storage market and so can't rival Dell EMC and HPE as a complete, one-stop-shop hardware and storage provider. NetApp, meanwhile, gets access to Lenovo manufacturing, global channels and a huge customer base. "Lenovo is the last of the big pure-play play hardware companies without much by way of external storage," said Ashish Nadkarni, an IDC analyst. "They find themselves in the same position as Dell a long time ago or HP a long time ago, and this is their attempt at changing that equation so that they can even the playing field with their competitors." Over time, both Dell and HP grew their portfolios via a series of acquisitions. They include Dell's acquisition of EMC and HPE's Nimble Storage buy. Now, Lenovo can go into enterprises and pitch storage from the flash storage leader along with their broad portfolio of servers. This will help the company gain some leverage in the enterprise, where they are tied for third with IBM in server sales, behind leader Dell EMC and HPE. 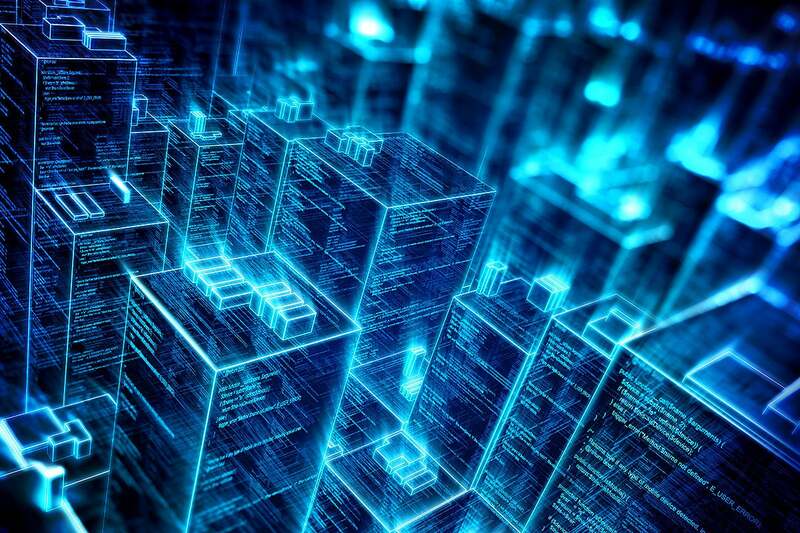 "We're going from being able to address 15 percent of the total storage market to 90 percent of the storage market," said Kirk Skaugen, president of Lenovo's data center group. Both Lenovo and NetApp have had a good year. Lenovo's 2018 milestones include 20 million servers shipped, helping to account for 48.6 percent year-over-year growth in global server shipments, said Skaugen, speaking at the company's Transform 2018 event in New York Thursday. Meanwhile, while NetApp is the number-two player overall in external storage behind Dell EMC, it's the leader in all-flash storage, the fast-growing part of the storage market. In the second quarter this year, the all flash array market jumped 41.7 percent year over year, to $2.0 billion, while hybrid flash array rose 20.8 percent to $2.6 billion, according to IDC. "This partnership brings together two companies with tremendous momentum," said Brad Anderson, general manager of NetApp's cloud infrastructure business unit. "The momentum in flash storage will only increase as prices come down." The demand for flash is also destined to rise as enterprises scoop up more and more customer data via mobile and cloud applications, including video services. Flash's ability to quickly write and perform I/O operations is key. "Big-data analytics, unstructured data, and high-performance collaborative workloads – really any workload that requires heavy data and analytics, as well as real-time, streaming analytics – they all need dynamic IOPS," Nadkarni said. The ThinkSystem DE Series DE600F all-flash array is just one of a family of all-flash and hyrbrid-flash products jointly developed by Lenovo and NetApp. The ThinkSystem DE Series All-Flash Array. The DE6000F offers 1 million IOPS, sustained throughput of up to 21GBps and maximum raw capacity of 1.84 petabytes. The DE4000F delivers 300,000 IOPS, up to 10GBps sustained throughput and 1.47PB capacity. The ThinkSystem DE Series Hybrid Flash Array, includes the DE6000, with 2.88PB maximum raw capacity with expansion units; the DE4000H, with 2.3PB capacity with expansion units; and the DE2000H, with 147TB maximum capacity with expansion units. 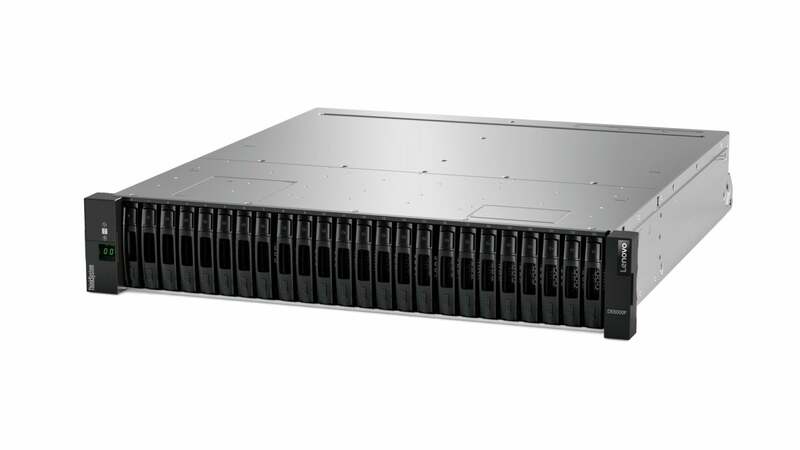 The ThinkSystem DM Series All-Flash Array, including the DM7000F, featuring maximum raw capacity of 705PB and the DM5000F, offering 24.1PB raw capacity. They also offer a range of connectivity including 40Gb Ethernet, 32Gb Fibre Channel and NVMe over Fibre Channel. The ThinkSystem DM Series Hybrid Flash, offering three products: the DM7000H with 57PB maximum raw capacity; DM5000H with 15PB capacity and the DM3000H with 17PB capacity. This series also supports NVMe. Pricing ranges from $7,700 on the low end up to multiples of $100,000 at the high end. The big question hanging over the alliance is whether the companies are heading toward a merger, and whether Lenovo, with its Chinese roots, would face tough scrutiny under U.S. regulators if it tried to acquire NetApp outright. Company officials declined to say whether they ultimately will head toward an acquisition, instead saying they're focused on getting products rolled out globally and offering compensation and incentives to avoid channel conflict. "This could be a try-before-you buy type of thing," said IDC's Nadkarni. "They'll want to see how this first phase of the partnership turns out."